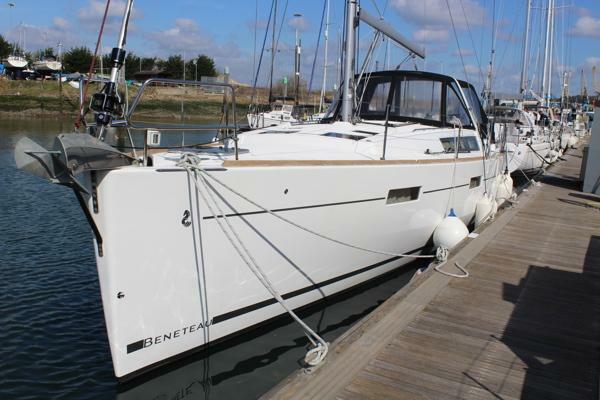 2014 Beneteau Oceanis 45, (2015 model delivered Sept 14). Part 1 British Registered, UK VAT paid. Remarkably popular aft cockpit fast cruising yacht with large owners cabin forward and two aft cabins, great deck layout with twin wheel and lowering transom. In-mast mainsail furling and Genoa. Well equipped with bow thruster, radar, pilot, heating, full cockpit tent – Very tidy yacht.